A cake I made last week. I love the Daisy Duck with her 3D eyelashes. Cake size is 9" single tier round cake. 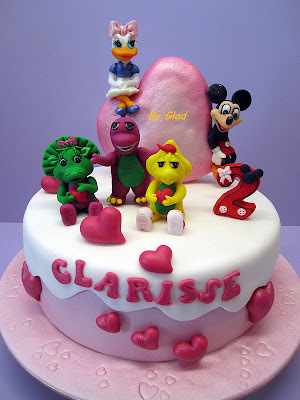 Thanks again for making the pretty cake for Clarisse.. Our guests love the cake too. The rich chocolate flavour is heavenly for all chocolate lovers!